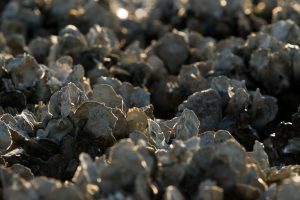 Shellfish harvest and consumption in Florida is an important facet of the maritime heritage of many coastal towns. The Florida Big Bend has several towns that still harbor local shellfish fisheries. These working waterfront communities are places where present day fishers carry on the traditions of past generations. The Big Bend Shellfish Trail Map (pdf, 30 MB) and the shellfish trail website are resources that visitors and residents can use to learn about shellfish and the fisheries they support. The trail website even offers several pre-planned trip itineraries! The Big Bend Shellfish Trail offers an immersive experience. Visitors can appreciate the ecological setting that supports shellfish and learn about the historic places along the trail. The trail map highlights six shellfish species: oyster, hard clam, bay scallop, blue crab, stone crab, and shrimp. These six fisheries each have their own nuanced history in the Florida Big Bend region and there is much for visitors to discover as they trek along the Big Bend Shellfish Trail. For example, harvest of oysters and other shellfish was prevalent among Native American cultures. Large shell middens from this bygone era can be observed throughout the Florida Big Bend. Early settlers to the region relied on abundant fisheries resources and pirates often visited the Florida Big Bend in the 1600s and 1700s. Maritime economies including commercial fishing, shipping and shipbuilding, and salt works developed in coastal towns such as Cedar Key, Horseshoe Beach, and Steinhatchee in the 1800s. 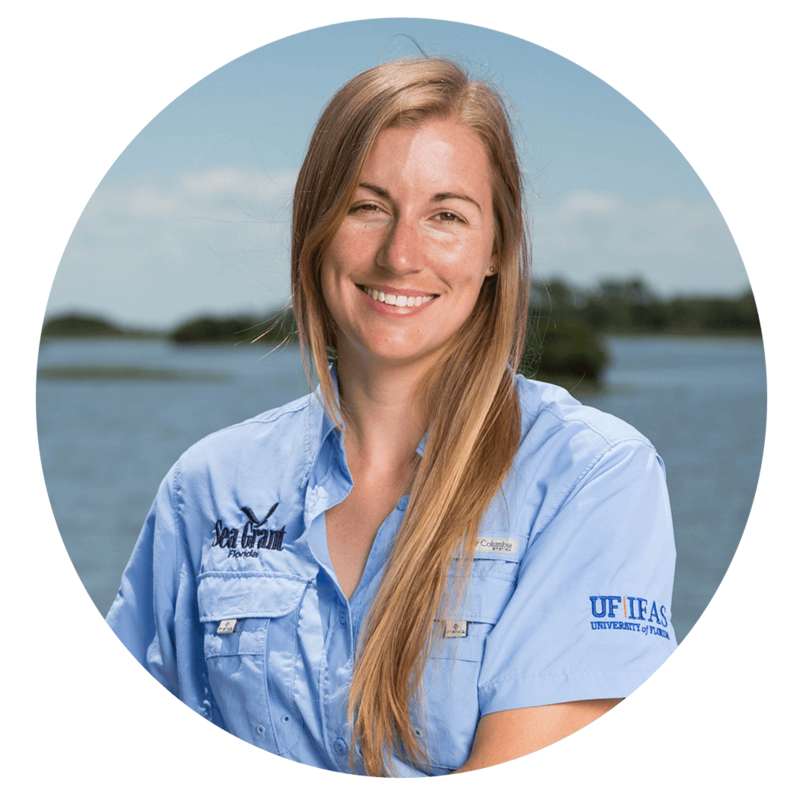 Important commercial fisheries for shellfish such as bay scallops, blue and stone crabs, shrimp, and oysters have declined from peak production levels or converted to recreational fisheries. Still, many of these towns harbor vibrant local shellfish fisheries. These “working waterfronts” are special places where present day fishers carry on the traditions of past generations. What will you discover on the Big Bend Shellfish Trail? 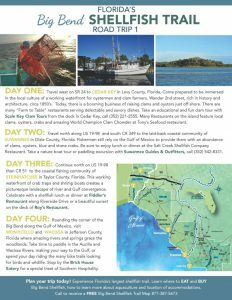 There is so much to learn and discover about shellfish fisheries in the Florida Big Bend! Head on over to the shellfish trail website to discover more, including information about each fishery, locations of shellfish related businesses and activities, and information about the rich history of these important fisheries. 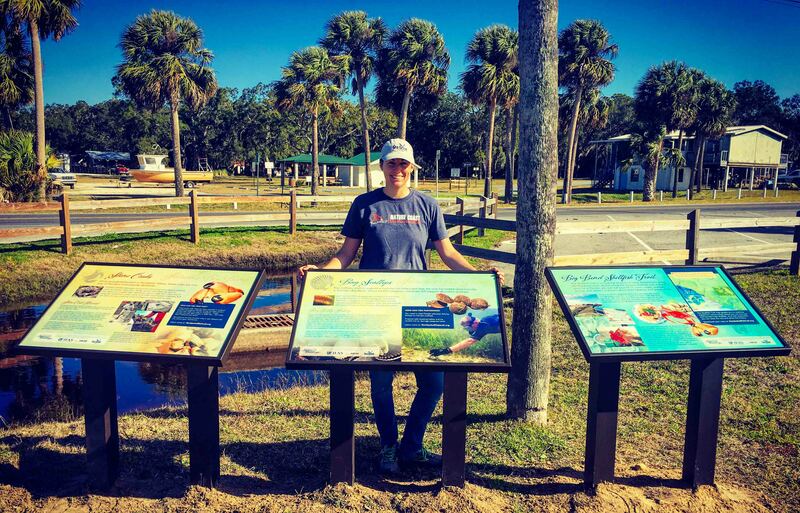 Each coastal town on the shellfish trail has educational kiosk panels, fisheries photo spots, and awesome restaurants to explore. Get going on the shellfish trail and share your photos and experiences using #floridashellfishtrail.